I'm Stan from Sofia. 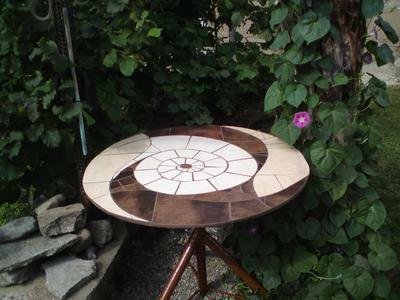 Enclosed, I'm sending you my first attempt for table top mosaic using old terracotta tiles found in my back yard. The template is taken from internet free templates.